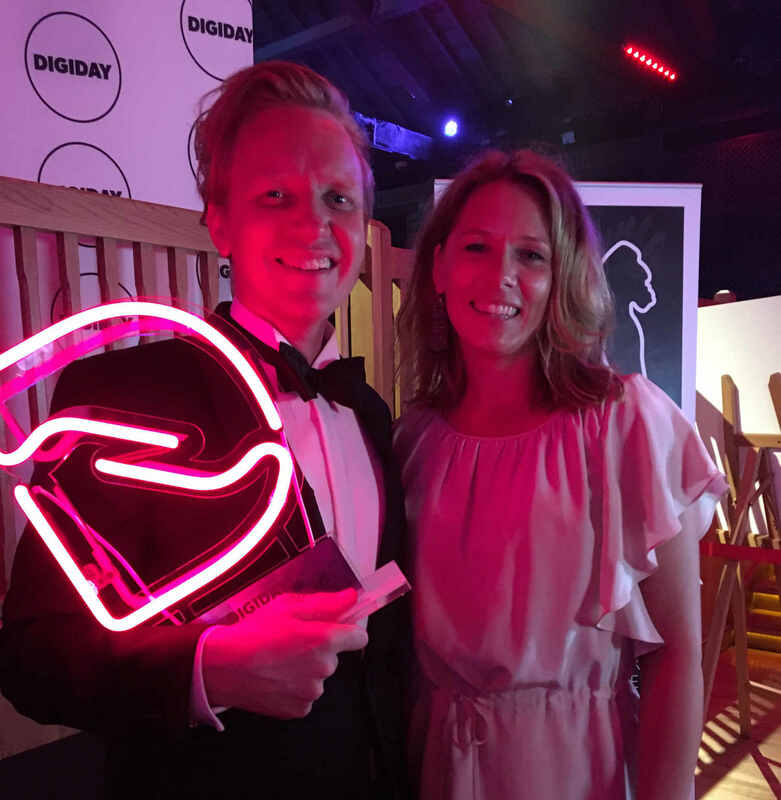 Last night Strossle was awarded “Best Native Advertising Platform” at the prestigious Digiday Media Awards in London. Digiday, referred to by Forbes Magazine as one of its "12 Must-Know Media Sites" in the world, hosted a gala at “The Brewery”, where awards were given in 30 categories. “This is a great acknowledgement of two strategic initiatives we’ve developed in the last two years: publisher collaboration and contextual distribution. Our collaboration platform allows publishers to share visitors and build a vast joint reach. Contextual distribution is the GDPR-safe alternative to personalised distribution. It’s like green data”. The nomination included a case study together with Zoznam, the largest pure online media in Slovakia, with 16 magazines and news sites. Zoznam started using the Strossle in 2017 to increase traffic and engagement, and the numbers they achieved were astonishing. Strossle’s traffic outperformed Facebook traffic in 95% of the cases, and Google organic in 60%. But even more remarkable: Accelerator traffic beat direct traffic in 65% of the cases. “We’d like to thank Martin Mác, CEO of Zoznam and Filip Kuna, MD of Strossle Slovakia, for making this happen. We are very proud to share the stage tonight with other Digiday Award winners such as The Times, VG, Wall Street Journal, National Geographic, Spotify and Siemens”.